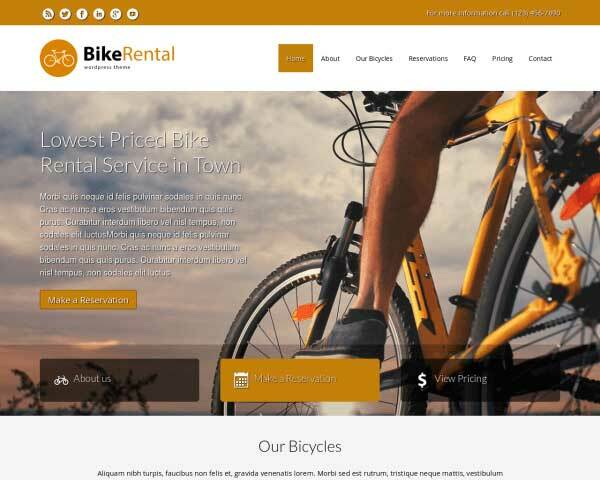 Our best-sellling Bike Rental WordPress Theme blows the competition right out of the water. This is not just a theme about bikes. It's a theme specifically for bike rental shops. Every aspect of this theme is designed to improve your ability to generate leads. 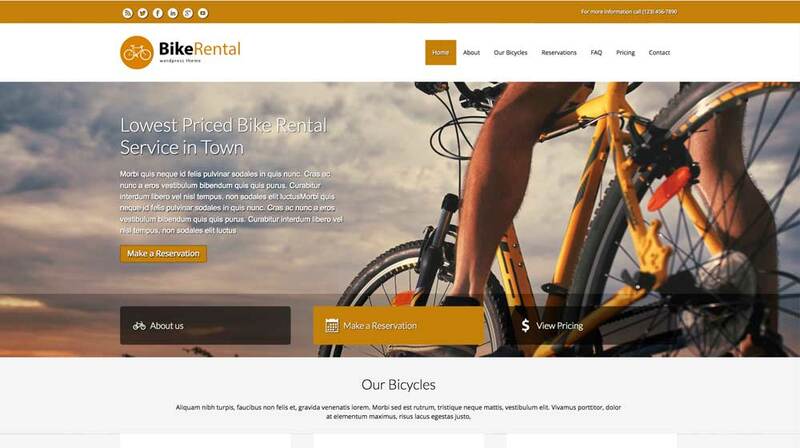 And the Bike Rental WordPress Theme helps you achieve that goal better than other theme out there. Period. Bike rental shop owners, you've found what you've been looking for. If you look at available WordPress themes for bike rental shops it's a sad state. Sure, you can find enough themes with Google. But a generic rental theme or a theme that tries to do both cars and bikes just won't cut it. We are cycling enthusiasts ourselves and we know exactly what type of information we want on a bike rental website when we're on a holiday. And if you combine that passion for cycling with thourough research into rental shops you get the Bike Rental WordPress Theme. A theme that simply makes sense. So what's the primary goal of any bike rental site? 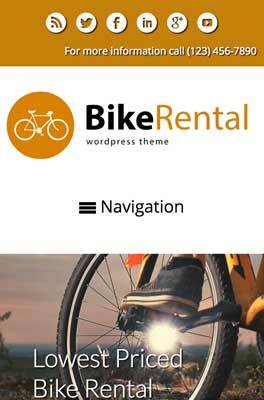 And what should a Bike Rental WordPress Theme, with which you build that site, include? 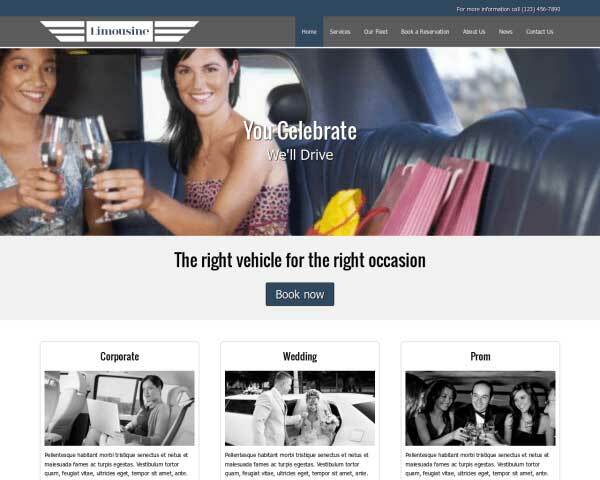 How about prices, a reservation form, bike categories your site visitor's can choose from, bike category overview pages with image galleries, client testimonials and a singular focus on generating fresh leads for your business. 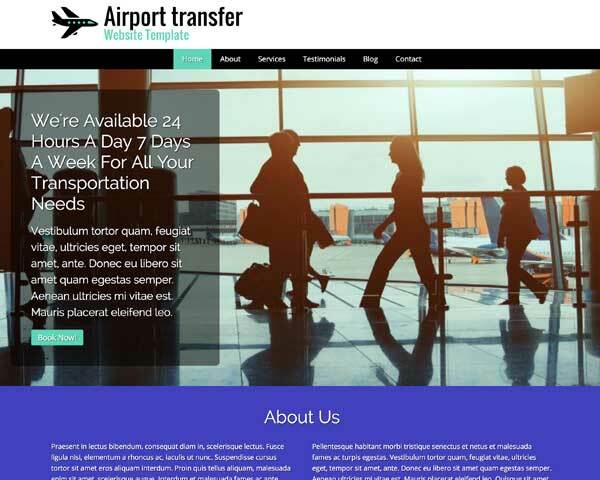 That's a professionally designed Bike Rental WordPress Theme and that's what's included in this package. Bike rental shop owners, don't look any further. If you want to build a dazzling bike rental website, you've found what you've been looking for. 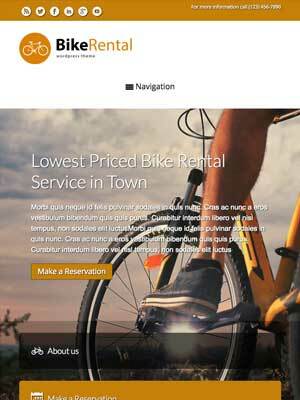 The Bike Rental WordPress Theme ships with a built-in function to create any amount of forms. And we've already added a dedicated page with a Bike Reservation form for you. Pricing is one of the most important piece of information on a bike rental website. If not the most important information. You can quickly and easily edit the pricing table that comes with this theme. Not everyone is looking for the same bike. So you need to be able to display the bike categories your rental shop offers. Whether it be beach cruisers, kid's bikes, tandems, electric bikes or whatever other category you can come up with. If you got visitors to your site riled up about choosing you to rent a bike from, they have to know what the next step is. A call-to-action pointing to the page with the Reservation Form being prominently featured in several areas of your site is the way to go. You've probably received a great many number of testimonials. The Bike Rental WordPress Theme ships with a neat little feature that let's you display them perfectly anywhere on the site. 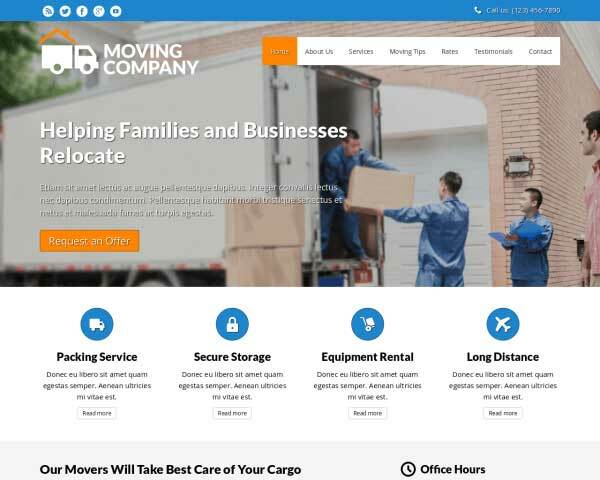 This could be either your homepage or a dedicated Testimonial section. Tired of answering the same question over and over again? Commit them to paper and post them on your site. That way it'll actually serve to streamline your business, both for you and your team as for your clients. On individual bicycle category pages each thumbnail can be opened into a bigger picture. That's because each overview page has an integrated image gallery. You can add as many galleries as you like with as many pictures as you like. You want to make it as easy as possible for visitors to your bike rental site to navigate to information they deem important. 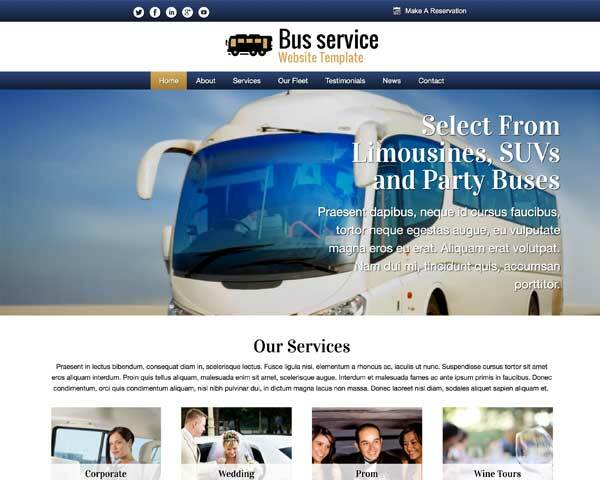 A solid site layout with clear navigation is an often overlooked aspect of professional web design. The Bike Rental WordPress Theme's got you covered in this respect as well. Of course a Contact page with general address information and a Google Map with route planner needs to be on your site. 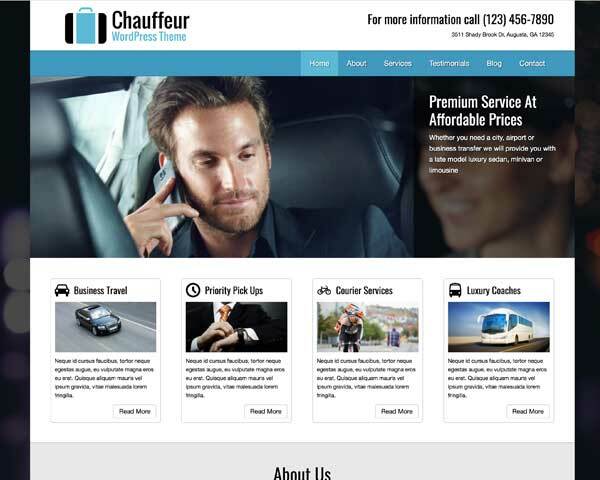 It's set up in the Bike Rental WordPress Theme and contact information can be edited from a single place in the theme to make changing it to reflect your address as convenient as possible. If you're active on various social media channels you want to create a couple of quicklinks. Simply swap the current demo links with your own and your good to go. Not all people want to fill out a Reservation form. Or maybe your FAQ section doesn't cover a specific question somebody might have. And some people just like to call. Whatever the reason. Your phonenumber is always right at the top of your website. Easily visible, and easy to click with the click-to-call functionality for smarthphones. 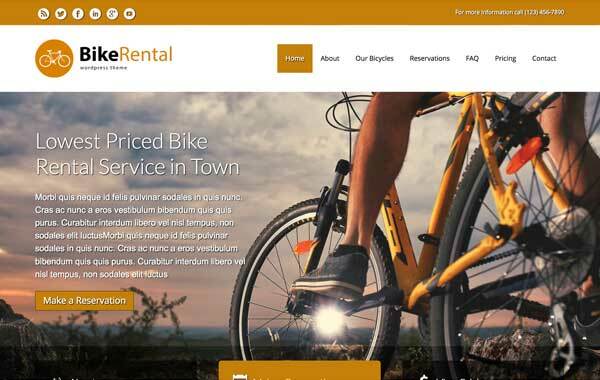 The Bike Rental WordPress Theme ships with a very powerful website builder. As you can see by the looks of the theme you can just about create any type of page you like. That includes the About page where you can share some background history about you and your company. 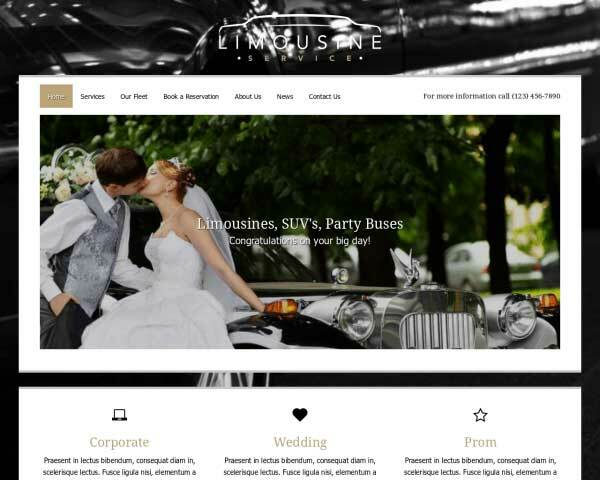 Yes this theme is very easy to customize with the built-in website builder. Yes, it comes with excellent support. But how does it look on a smartphone you might wonder? Excellent is our answer. And there's nothing you have to do about. Fully automated, the design and layout automatically realigns itself. This way it offers visitors to your site using mobile devices the best possible experience. Every time. All the time.